A lovely mix of recycled copper and glass makes up this unique acorn pendant which is part of the Woodland collection – a unique, one of a kind, a perfect gift!. 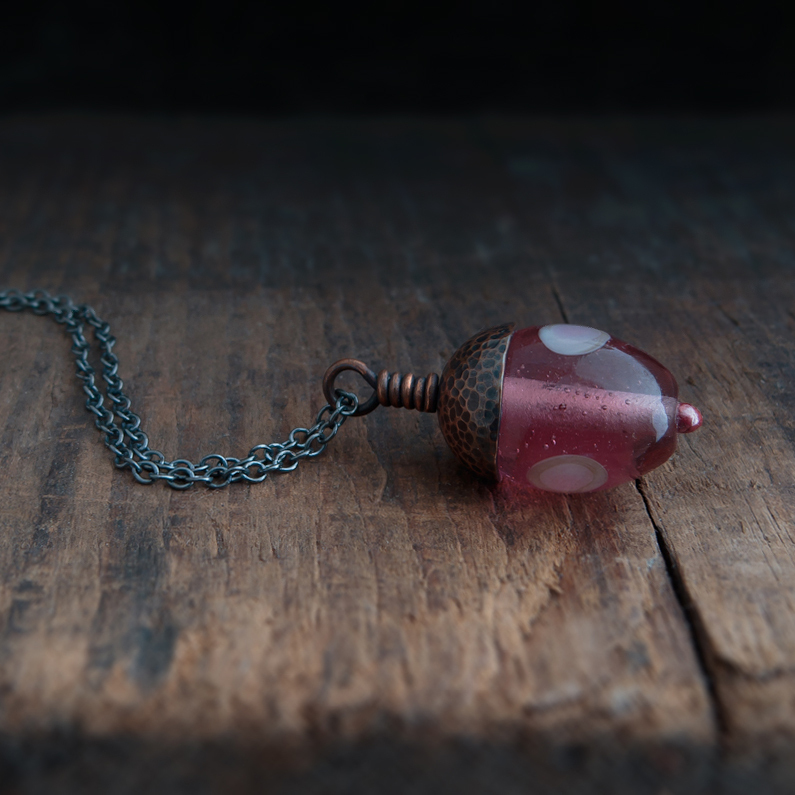 This pink acorn pendant is made from a unique glass bead combined with copper salvaged from plumbing pipes that have been upcycled and transformed into this precious keepsake just for you. Acorn pendants are handcrafted and each acorn cap is made to measure depending on the bead used, ensuring that it is totally unique with it’s own distinctive details. The copper has a hammered finish and this is accentuated by oxidising the metal, before polishing it, to show off it’s unique texture. Equally the bead pin has also been hand crafted from copper wire – balled under a high heat at one end and then twisted at the other to create a wrapped loop. 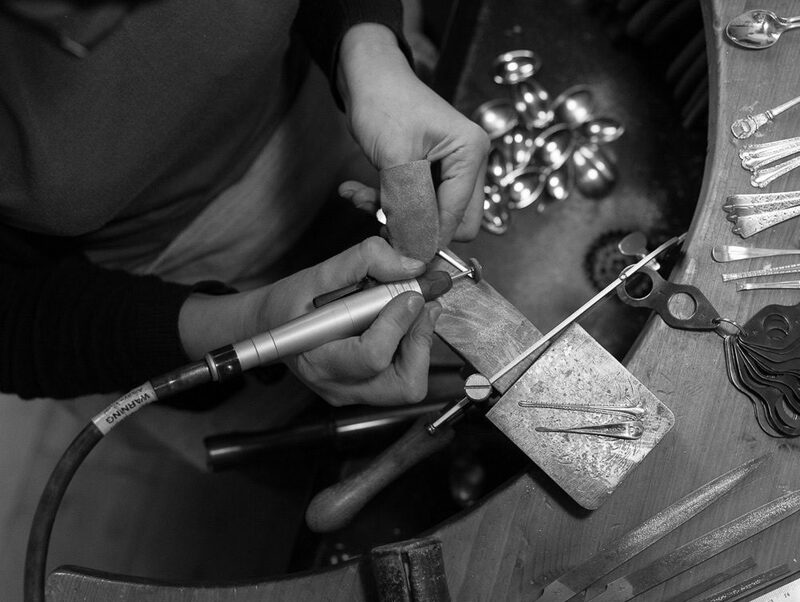 The photographs show an example of what you will receive – as each Acorn Pendant is handmade, the one you receive will differ from the one photographed.